Boing Boing interviews Bjarne P. Tveskov, a Lego designer who created many of the classic Space sets from the 80s. I still have all my space legos, and my kids and I regularly play with them. 12 Feb 2008 in Aesthetics, Design, History, PopCult, Technology. Awesome. 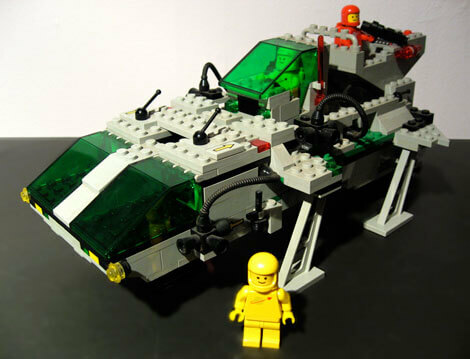 I have many fond memories of putting Lego spaceships together using some very-well worn sets of instructions, all numbered, color-coded, and without words. They’re a great example for teaching solid instruction writing. Then there’s the guy from Queen who went back to get his doctorate 30 years later.